A week is a long time in politics. So said Harold Wilson. Dinah Washington also thought a day made quite a difference. This can also be applied to football; especially the January 31st transfer window closing. Some players got transferred to bigger clubs and received bumper payouts; others thought they might be moving for a big fee only to have their hopes dashed at the very last minute. Well, fairly close to the last minute. However, in the case of Signor Ranieri, what a difference a season makes. Can you recall this time last year when Leicester were sitting pretty at the top of the Premiershit? Where are they this year? Fifth bottom of the division with only two points separating them from bottom-placed Sunderland. Some Leicester fans are braying for the head of Claudio Ranieri; others are more sanguine and see last season as being a one-off and this year it is a case of normal service being resumed. Now, given that Leicester raked in £93 million for winning the league last year, you would have thought Ranieri would be a good enough manager to use some of that money to strengthen the team. Indeed he has spent and has signed 13 players since winning the league. Unfortunately, they seem to have weakened rather than strengthened the squad. Thus, like so many seasons in the past, the final few games will see Leicester fighting to remain in the top flight. Regarding the money gained by the club for winning the championship, I have a question. Why did second-placed Arsenal receive over £100 million? Indeed, the third, fourth and fifth placed teams also got a bigger windfall than Leicester. Something wrong there by my reckoning. Will they be relegated immediately after winning the league? I am not the only one who fears the worst. At least they wouldn’t be the first it happened to. Herfolge Boldklub [Bless you! - Ed.] were relegated from the Danish top division in season 2000-01 after winning the title the previous year. Given that there are only twelve teams in that league it perhaps wasn’t seen as being such a great fall from grace. Nurnberg did the same thing in the Bundesliga, being relegated in the 1968-69 season. Their spectacular fall was very much due to managerial blunders. The manager at the time decided to have a clearout of players and brought in thirteen much younger players to ‘build for the future’. His plan backfired and, as well as them dropping out of the league, he was dropped out of his job. Manchester City won their first ever league one title in season 1936-37, but next year they were relegated despite being the division’s highest scorers that season. Unfortunately, they also conceded more goals than any other team. Last season, if you had placed a bet on Leicester to win the league, you would have been quoted 5000/1; at the start of this season you could have got 25/1 for them to drop straight down to the Championship. In fact, those odds have now been slashed to just 5/2. 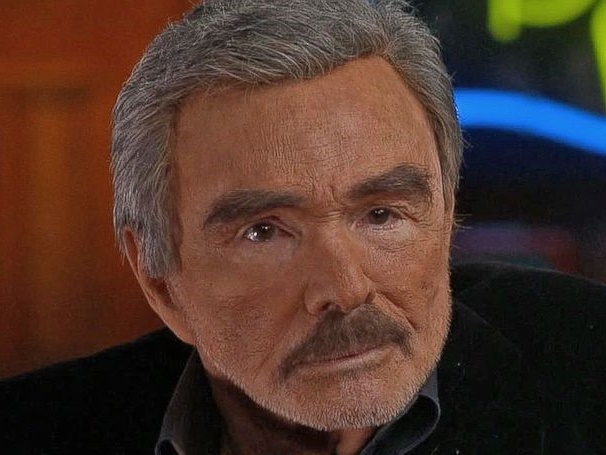 Burt Reynolds looking uncannily like a waxwork model being melted down. Bobby ‘Boris’ Pickett 1938 (One hit wonder. You know the one. You do. I was working in the lab late one night...), Gerry Goffin 1939 (Lyricist. With wife Carole King wrote hunners of songs including this. Question. Who’s Miriam? ), Sergio Mendes 1941 (Brazilian musician. You’ll recognise this... Mas Que Nada. ), Derek Shulman 1947 (Gentle Giant singer. Another link, vicar? Here is Derek from an even earlier incarnation. Do you remember Kites? Apologies for the dodgy video. ), Sheryl Crow 1962 (Not really a crow. She is actually a singer. Another link? Why not? Here’s All I Wanna Do. ), Sarah Palin 1964 (‘No more pussyfootin' around! Our troops deserve the best.’ Ye gods! ), Jennifer Aniston 1969 (A friend. ), Damian Lewis 1971 (Ectaw. Pretends to be American a lot.) and Steve McManaman 1972 (Footy bloke. All together now... McManaman... doo doo, doo doo doo... McManaman... doo doo doo doo...). Matt Ritchie's first-half strike took Newcastle back to the top of the Championship as former boss Steve McClaren's return to St James's Park ended in defeat. Matt Ritchie celebrates his goal by pretending to be a lion. Gillingham took the lead in the 14th minute when Ryan Jackson's long throw fell to an unmarked Josh Wright and he drilled in his third goal in as many games. But a minute later Mark Marshall hung up a cross to the far post where Charlie Wyke headed home. The Bantams took the lead when Wyke was fouled on the edge of the area and, after Billy Clarke's free-kick was tipped on to a post by Stuart Nelson, Tony McMahon tucked in the rebound. Deji Oshilaja levelled four minutes into the second half when Jackson's ball found its way to the back post where the defender stabbed home. Defender Harvey Rodgers, on loan from Hull, headed home on 45 minutes, while substitute Noor Husin, who signed from Crystal Palace on Tuesday, had an easy tap-in to secure a vital three points for Stanley and plunge Kevin Nolan's side deeper into trouble. Lee Miller headed a free kick into the path of John ‘Logie’ Baird to fire in the opener on 34 minutes. Midway through the second half, Sean Murdoch made an impressive save to deny Baird but Miller was on hand to tuck in the loose ball. Andy Jackson gave Brechin the lead after only three minutes with a left-footed shot into the bottom right hand corner. Willis ‘Nellie’ Furtado equalised for Stenny just four minutes later. Oli Shaw put Stenhousemuir in front with 16 minutes on the clock. Brechin equalised soon after the second half restart with Dougie Hill’s shot on target. Stenny had to play out the last quarter of an hour with a man down when David Marsh was shown a second yellow card. Ooh... so close. Any road up, what can The Grambler come up with this week? Hmm. Not quite as whopping as last week, but still reasonably whopping. Teaser time. Yay! Last week I told you that only four Scottish players have won Premier League winners medals. Three of them won theirs with Manchester United. I asked you who was the fourth and with which club did he achieve his medal. The three Man U players were Darren Fletcher (5), Brian McClair (4) and Darren Ferguson. The lone non-Man U player was Colin Hendry who won his medal with Blackburn Rovers. One for this week? How about a World Cup question? Which England player has made the most appearances in the World Cup finals competition? I reckon that’s quite a good one. And finally, Cyril? 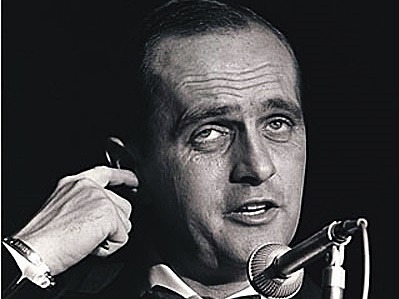 And finally Esther, I am indebted to a Mr R. Newhart who provides us with our finishing link. Why? Because this link tells us about birthday boy Thomas Edison’s greatest invention.